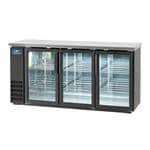 Just as appearance, atmosphere, and service are important to provide for your customers, convenience is essential for your staff. 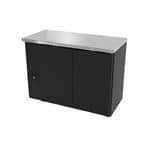 Having the perfect commercial backbar storage cabinets in your establishment can help with each and every one of these things. 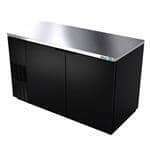 Not only are back bar cabinets perfect for making a great first impression in your bar, restaurant, diner, or other type of food service establishment, but they also allow you to maximize every inch of back bar space. 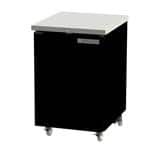 Specifically designed to sit beneath your bar or countertop, commercial backbar storage cabinets are high-quality and practical, housing all of your bar essentials, including drinks, garnishes, glassware, kegs and much more, without taking up precious bar top space. 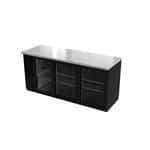 With nearly 300 different sizes and styles available, CKitchen has the most varied selection of bar cabinets anywhere. 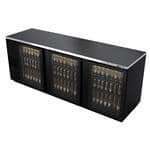 The assortment of back bar cabinets on CKitchen.com will help you serve more customers faster, even during the busiest bar nights of the year. 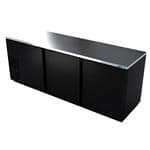 Understanding the different types or back bar cabinets will help you make a more informed decision for your unique space. 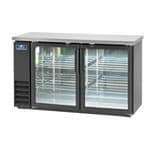 Underbar drainboard cabinets and glass rack cabinets help you prepare bar drinks, beverages, and glassware as efficiently as possible. These often feature smart extras, such as perforated drainboard tops and slide-out glassware drawers. 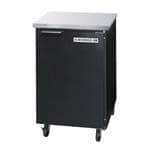 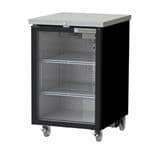 We also have a huge selection of refrigerated bar cabinets for storing bottles, cans, fruit slices, food, and more. 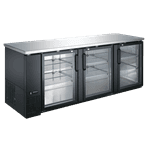 Whether you need a lockable back bar cabinet to store your high-priced inventory, or a glass bar display case that lets patrons see what you have to offer, we can help you find it. 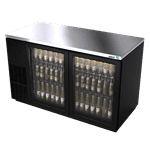 With single-compartment units, double-compartment units, and even pass-through bar refrigerators, we’re sure you’ll find what you’re after here! 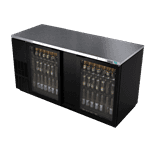 Make sure your optimize your bar space with the help of a commercial backbar storage cabinets. 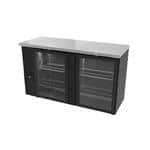 Shop our selection of back bar cabinets for the guaranteed lowest prices and fast shipping. 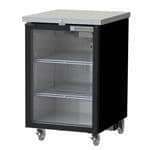 Our top priority here at CKitchen is to provide each and every one of our customers with the very best customer service, as well as high performing, efficient, dependable products. 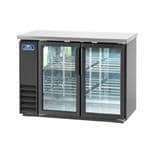 If you need help choosing the right commercial backbar storage cabinet for your needs, please give us a call and one of our certified food service equipment assistants will be happy to assist you. 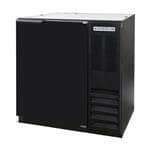 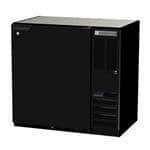 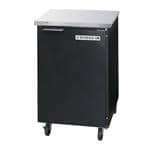 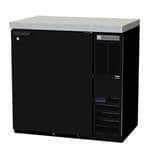 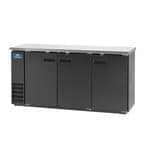 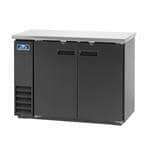 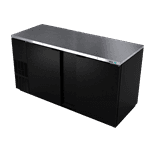 Arctic Air ABB48 Solid Back Bar Refrigerator - Two Door 48"